Russia's MiG corporation on Friday carried out the first test fight of a MiG-29 fighter modernized under a contract with the Indian Air Force (IAF). 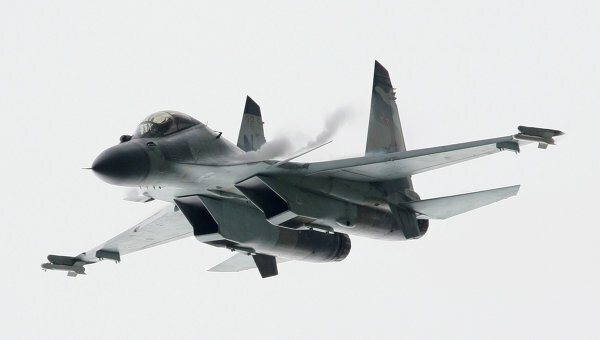 "On February 4, 2010, a MiG-29UPG fighter carried out its first test flight. The flight lasted for an hour and was flawless," MiG said in a statement. These upgrades include a new avionics kit, with the N-109 radar being replaced by a Phazatron Zhuk-M radar. The aircraft is also being equipped to enhance beyond-visual-range combat ability and for air-to-air refueling to increase flying time. In 2007, Russia also gave India's Hindustan Aeronautics Limited (HAL) a license to manufacture 120 RD-33 series 3 turbojet engines for the upgrade.